October is here and for many of us in Pocatello that means colder temperatures, snow covered yards, frosty windows, and riskier driving conditions. The colder temperatures of winter also have an effect on our utility bills. Paying attention to certain aspects of our home systems, like our household plumbing, can help us save money during these chilly months. More specifically, you can find a good amount of savings when you pay attention to your water heater. 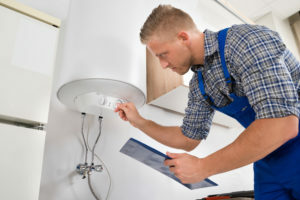 The expert plumbers at Barlows Aire Force One have compiled a list of tips and tricks on how you can cut back on your utility bill this winter by paying more attention to your hot water consumption. This tip applies to all year long. The Federal Department of Energy recommends that we keep our thermostats on our water heaters set to 120 degrees Fahrenheit. Lower temperatures not only keep your utility bills under control, they can prevent scalding. When your water is heated to 140 degrees Fahrenheit it can cause scalding in just five seconds. Fact: Did you know that scalds are the number one burn injury in children under four years of age? When the temperatures outside our homes drop to below freezing, it can be tempting to spend more time soaking up the extra hot water from our showers. The water coming out of the faucet can travel through your household plumbing at an average of two gallons a minute. Spending more time in the shower equals more money spent on heating that extra water. Keep your shower short and bundle up in warm clothing and soft blankets for comfort instead. If you want to take comfort in hot water drink hot chocolate or hot tea to warm you up. Consider insulating the tank of your water heater to help it preserve its warmth. Insulating the tank will help prevent the water from cooling down. When your water heater starts to cool down it is forced to do twice the work, spending twice the money. Keeping your water heater insulated can be particularly important if it is located in the basement or another area of your home that doesn’t get a lot of heat. Make sure that you follow manufacturer instructions when insulating your hot water heater. You don’t want to accidentally cover up the burner or the thermostat. If your hot water heater is acting up or having issues running, you might want to invest in a new hot water heater. 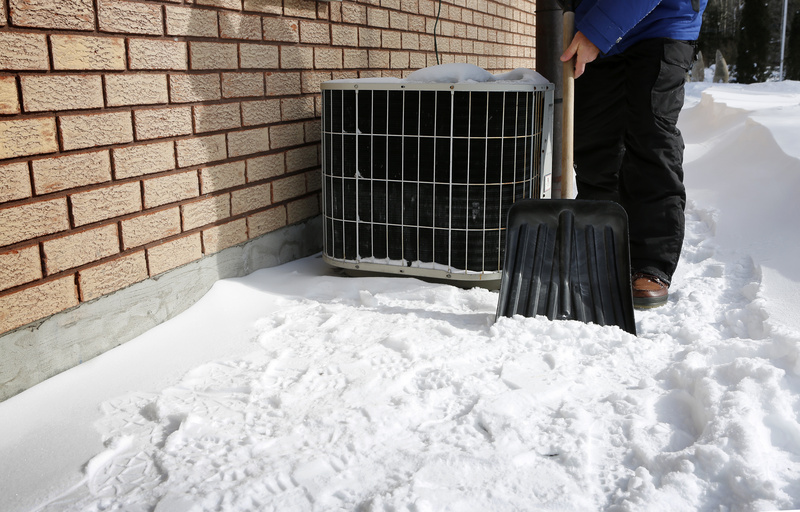 It can be more cost-effective to purchase a new one than spend twice, or three times that amount over the winter months because of insufficient heating. You can even invest in a hot water heater that is energy sufficient, costing you less to run over time due to the increased efficiency. If your hot water heater is acting up contact the plumbers at Barlows Aire Force One in Pocatello. Our Pocatello plumbers can help you save time and money by inspecting your hot water heater. We can also help you with any plumbing issues such as broken pipes, overflowing toilet, and heating system issues this winter. Its summer and it’s the perfect time to plan that family vacation that you have been dreaming about for months now! While planning your trip outside of Pocatello you probably have a to-do list of tasks that need to be done to prepare your home for your absence. Stopping the mail and reprograming the thermostat aren’t the only things you should be doing to prepare your home. You should also focus on your household plumbing system. If one of the pipes in your kitchen sprung a leak you would turn off your water and call a Pocatello plumber, right? What happens if you aren’t around to spot the water leak when it happens? The water will continue to flow, creating a water damage disaster. 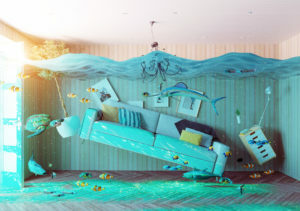 No one wants to return home from a pleasant vacation to find their home is a watery mess. While the odds of your plumbing system springing a leak are slim, the stakes are high and the solution is simple. Whenever you plan on leaving your Pocatello home for extended periods of time during the summer, you can buy yourself some insurance by simply shutting off the main water supply to your home. In most homes, the main shutoff valve to your water supply is located next to the water meter. The main shutoff can be a knob that can be turned by hand or a valve that requires a wrench to turn. If you are unable to find your shutoff valve, you can contact a Pocatello plumber for help. Even if you aren’t leaving your home for an extended period of time it is a good idea to know where your water shutoff valve is in the case of an emergency. Knowing where this valve is and how to shut it off can help you save your home from suffering from thousands of dollars’ worth of water damage. If you have an automatic sprinkler system or irrigation system, this will also be shut down if you close your main water supply valve. To keep your lawn from drying up or your garden from dying you may want to use other shutoff valves to reduce the risk of flooding your home while keeping water flowing to your lawn and garden. If you are not sure where other water valves are located, a licensed plumber can help. There is an added bonus to any summer vacation that you may not have thought about. Leaving your home unoccupied for an extended amount of time can save you money! When you don’t use your household lights, appliances, and electronics for an extended period of time you will see a big difference in your power bill, and you may also see a difference in your water bill while you’re letting fancy restaurants do the dishes and taking long showers in hotels. A few more adjustments will help you save even more. If you have an automatic ice maker in your freezer, shutting it off before you leave will help you save a little extra water. Shutting down your water softening system will also help conserve energy and water softening salt. The largest saving potential comes from your hot water heater. The water heater consumes more energy than most of your other home appliances, but if there is no one home to take hot showers or do the dishes, there is no need to keep it running. 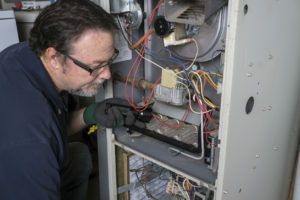 If you shut off your main water supply and water leaks or siphons out of the water heater tank by any means, the heating element could burn out if it continues to heat an empty tank. The simplest way to turn off your water heater for vacation is to turn it off at the main breaker switch. Some modern water heaters come with a “vacation” setting on the heat control dial. If you need help preparing your plumbing system for a vacation be sure to schedule an appointment with a trusted Pocatello plumber right away! Owner of Barlows Aire Force One, Wayne Barlow, speaks with a KIFI news local reporter about what you can do to cut your power bill in half.